Las Vegas has a lot of things to do beyond the partying and the strip. Every year a million people leave the Las Vegas strip and take a tour of the Hoover Dam. The Hoover Dam is a concrete arch-gravity dam an hour away from the Las Vegas strip in the Black Canyon of the Colorado River. The Hoover Dam has beautiful scenic views you will not see anywhere else in the world. The Hoover Dam, which sits on the border between Arizona and Nevada, has two lanes for traffic if you just want to catch a quick glimpse. 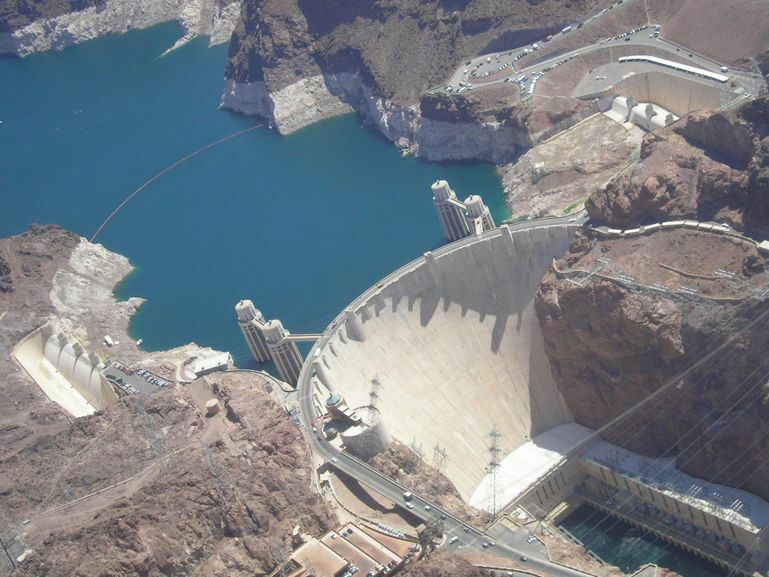 However, if you would like a more in-depth tour of the Hoover Dam, Red Carpet VIP can arrange an exclusive helicopter tour for your group to take in the beautiful scenery of Hoover Dam, Grand Canyon, Lake Mead and the world-famous Las Vegas Strip. Red Carpet VIP has exclusive relationships with all the premier touring companies in Las Vegas. Our VIP specialists are knowledgeable of all types of tours and we can make booking the right tour for your vacation simpler than you ever thought possible. Beyond the great clubs, dining and gaming Las Vegas is known for its shows and there is a wide variety of shows offered. You can choose from Broadway-styled shows like “Jersey Boys” to more off the wall, one-of-a-kind show experiences like “Absinthe” at Caesars Palace or one of the seven Cirque du Soleil shows across the Vegas strip. “Jersey Boys” tells the story of how four blue-collar kids become one of the greatest successes in pop music history. This adaptation of the Broadway show, “Jersey Boys”, the Tony Award-winning Best Musical of 2006 that takes you up the charts, across the country and behind the music of Frankie Valli and The Four Seasons. “Jersey Boys” is on hiatus and moving into it’s new home at Paris Las Vegas beginning March 6. For a show unlike any other in Las Vegas there’s “Absinthe”. “Absinthe” is the critically acclaimed acro-cabaret variety show outside of Caesars Palace. The New York Times sums up this raunchy comedy combined with perfect acrobatics. Imagine Cirque du Soleil as channeled through ‘Rocky Horror Picture Show’. The round tent-like theater is the perfect venue draped in 1930’s eclectic circus decor. You may even feel some sweat dripping from the performers as they perform amazing tricks just feet from the audience. This show is also big on audience participation so don’t sit in the front row if you are the shy type. Cirque du Soleil currently has seven different shows in Las Vegas. You can head to Mirage where you can enjoy “Love” with music by the Beatles along with the beautiful acrobatics that Cirque shows have become known for over the years. For a more traditional Cirque du Soleil show you can choose from “Ka”, inspired by martial arts, while “Mystere” combines high-energy acrobatics and dramatic dance with vibrant costumes and set design. Red Carpet VIP has exclusive relationships with all the hotel box offices as well as the top ticket brokers in Las Vegas. Because we utilize so many different ticket sources, we never have to tell our clients that we are unable to fulfill their ticket needs. We strive to make it as easy as possible to purchase general seating or VIP seating for all the venues large or small that Las Vegas offers.